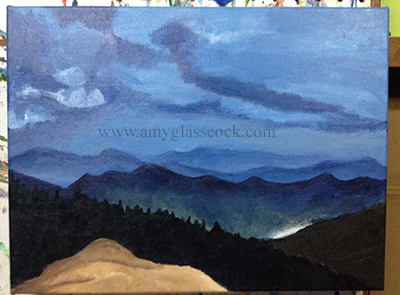 I started with a background blue color before I add clouds and mountains. 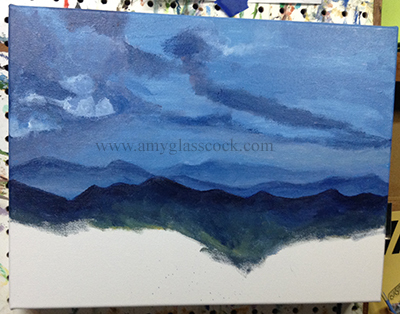 I started the clouds and mountains today. 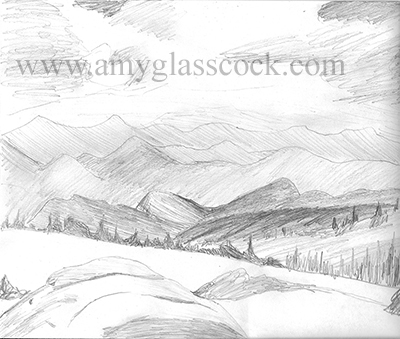 I added some of the foreground today. 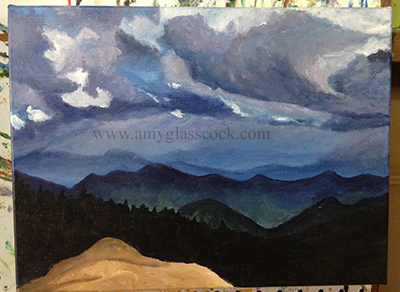 I added more to the clouds today. And I added another set of mountains in the middle. 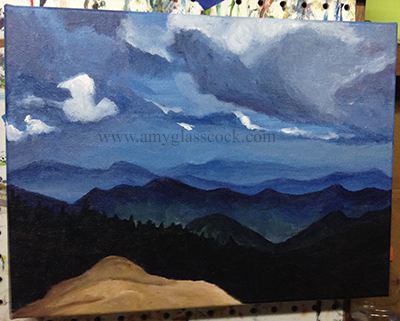 I worked on the clouds more today. 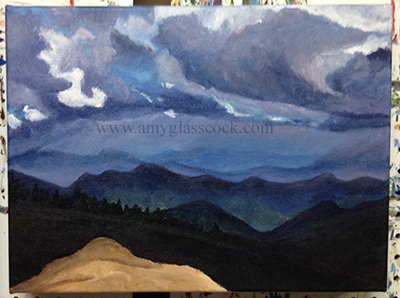 I added a lot of different purpley blues and tried to show the rain in the distance near the horizon. 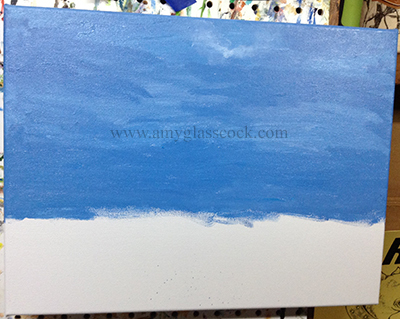 I think that the clouds are starting to show more depth. It takes lots of layers! I worked on the bottom hill today. 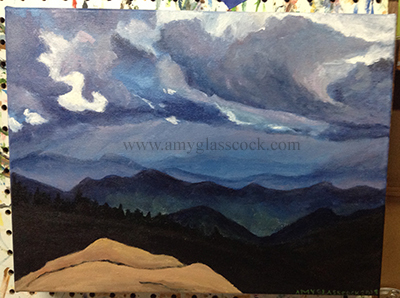 I worked on the rock a bit and added some white to the clouds.